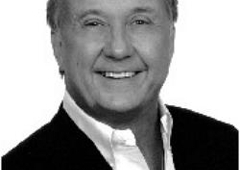 Highland Dental Center: William P Welch Jr., DDS has not yet specified accepted insurance plans. Keep Your Teeth Healthy & Your Smile Bright! I feel well educated and understood! My treatment plan is varied and kind of overwhelming, but I feel confident about what is next. I have always had a fantastic experience here. Everyone is very courteous and professional. Thank you. Great customer service. They made me feel extremely comfortable. I am very pleased! The staff was very professional and knowledgeable. I was in and out in a timely manner. Did not have to wait, everyone was friendly and there was no pressure to do unnecessary procedures or to purchase anything. I never feel like a "number" when I am there. The entire staff is awesome and service was excellent. Good and caring individuals. I am always greeted with a smile and everyone is so nice and concerned about me. I feel like I'm an important person and not just a body filling a chair. I had an excellent dental hygienist and he did an excellent job cleaning my teeth and answering all of my questions. I have always been very pleased with the service I receive. Thanks! As always very pleasant, I'm glad to visit my dentist. I really enjoyed the dental hygienist I had the last 2 visits. Extra special crown made for me, best ever! The staff is always very friendly and attempts tow ork out any situation that may arise. They are easy to schedule and the wait time is minimal. I love Dr. Welch and his staff! I recommend him to everyone. I also have all my family see him. I don't have dental insurance and he has very reasonable prices. i had one emergency and he was able to fit me in and took very good care of me. Last was a dental hygiene visit and I was taken care of. Everyone on the staff is very friendly and helpful make it a very enjoyable experience. Dr. Welch and the entire staff is awesome. Service is excellent and the prices are very reasonable. Thank you so much for all your help. I have always been pleased with the service I receive here. The staff is very professional, knowledgable and friendly. I was in and out in a timely manner. Thanks. I love Dr. Welch and his staff. I recommend him to everyone. I also have all of my family come here. I don't have dental insurance and he has very reasonable prices. I had one emergency and he was able to fit me in and he took very good care of me. The staff is always very friendly and attempts to work out any situation that may arise. They are easy to schedule and the wait time is minimal. Everything was fine with them. Overall he is a good dentist and welcoming. I will use them again. 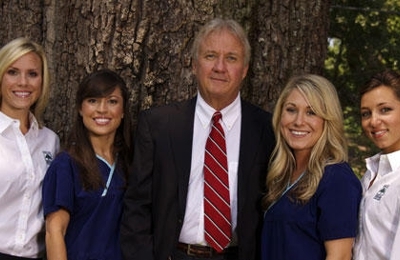 "When I moved to Baton Rouge many years ago, I asked a friend to recommend a dentist. Their preferred dentist wasn't accepting new patients, but the office recommended Dr. Welch. Since then, I have used Dr. Welch for routine exams and cleaning, dental fillings and some cosmetic dentistry. I've been happy with the results. Dr. Welch isn't listed online or in the phone book under his name, so you will have to search under Highland Dental Center. Immediate appointments may not be available unless it's an emergency"
This is by far, the best dentist in town! I have not found a better dentist and staff in 73 years. Thank you! Dr. Welch's office is great. My husband and I are new patients and both had extremely positive experiences. The staff are incredibly friendly. The hygienist, Rikki, was the best I've dealt with. She answered all of my questions, told me exactly what she was doing and what to expect, and was much more gentle than most hygienists. Dr. Welch is very friendly, as well. I highly recommend!